The holiday mood has arisen as we approach the end of the year! This is the time when Singaporeans are counting down to the days when we can feast on good food every day and soak up the good cheers of ongoing festivities. Now, one major food festival all food enthusiasts must not miss is the AccorHotels Food & Wine Festival from 04 to 12 Nov 2017. In Singapore, delectable food and excellent wine is not simply just a national pastime but considered an inalienable right and AccorHotels knows that best. 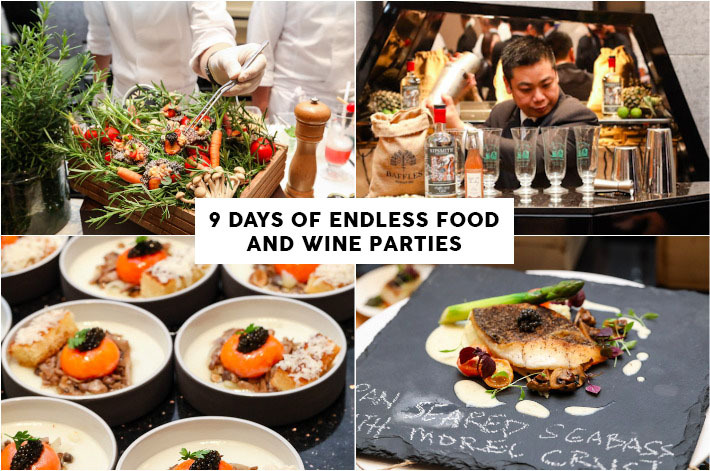 This festival will spread across nine days in 40 restaurants and bars of hotels under the group. Organised by the largest and most prestigious hotel operator in Singapore, you can be assured that the festival will be nothing short of grand. This inaugural gourmet food & wine festival will play host to over 100 chefs across AccorHotels’ massive network of Michelin-starred chefs from multiple award-winning restaurants and chefs such as Michelin-star Chef Kirk Westaway of JAAN, Raffles Singapore’s Amos Ting and Chef Louis Tay of Swissôtel Merchant Court who won the Culinary Olympics 2016. 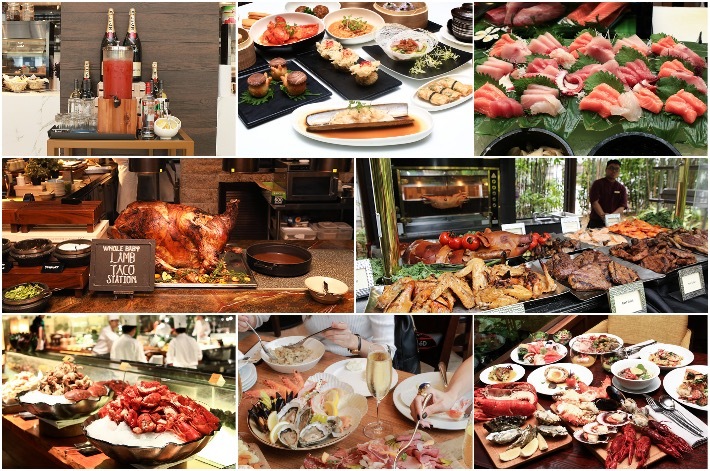 Starring ‘Super Sunday Brunch’ held at Sofitel Singapore Sentosa Resort & Spa, the coolest pool parties and masterclasses, treat yourselves to exciting culinary creations and interesting alcoholic beverages by more than 100 highly dedicated chefs from AccorHotels. Hotel buffets have always been a favourite past time of ours, simply because we know that every time we head over to one, we will be indulging in a quality buffet spread and having the time of our lives. Of course, as with every aspect of life, some are better than others but in general, the hotel buffets in Singapore are top notch and this includes buffets of different styles and cuisines. That is the great thing about Singapore, being able to dig in to different types of cuisines easily. Dim Sum Buffets, Indian Curry Buffets and so much more. Buffets in general is an indulgence and people generally have in once in a while. Hence, every time you do go to a buffet, you want to ensure that it is a worthwhile and satisfying experience. 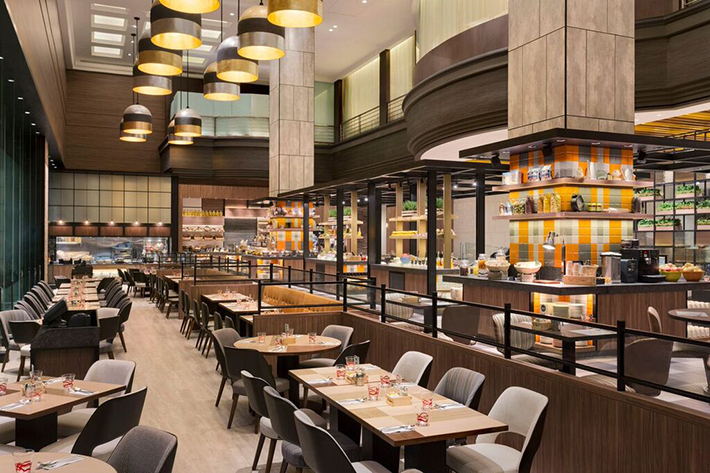 Here is The Ultimate Guide to Hotel Buffets in Singapore—35 Places to Eat to Your Heart’s Content. 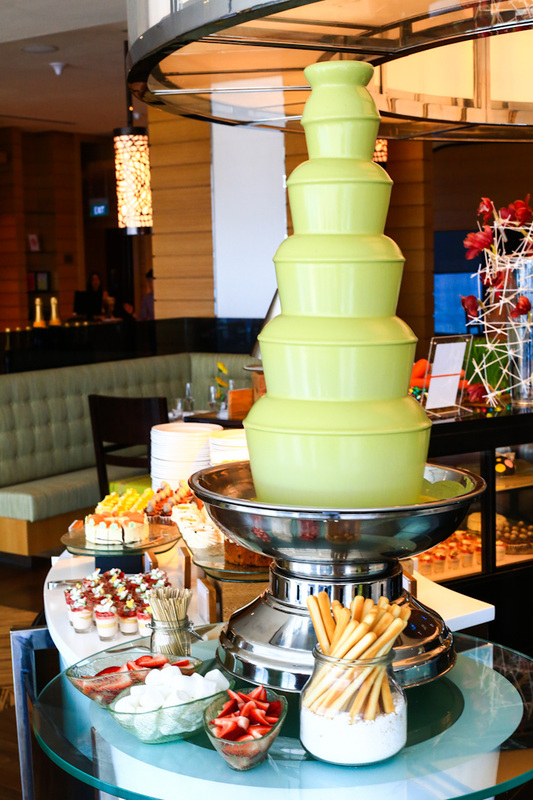 Rest assured that you will find a buffet that suits your needs an preferences from this extensive list. We are nearing the end of the year, and that’s when things are getting exciting for the F&B restaurants in Singapore. In November, many of us are already in our holiday moods and that means that the feasting and self-pampering begins! Last month, we shared 8 Irresistible 1-For-1 And One Dines Free deals at various restaurants in Singapore. 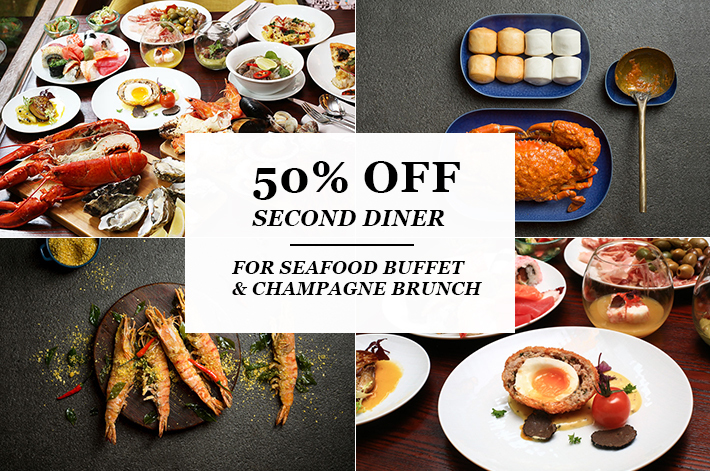 If you missed them out, fret not because this month you get to enjoy a whopping 50% off Second Diner Promotions for the finest Sunday Champagne Brunch at Opus in Hilton Singapore and the freshest catch at Seasonal Tastes in The Westin Singapore! 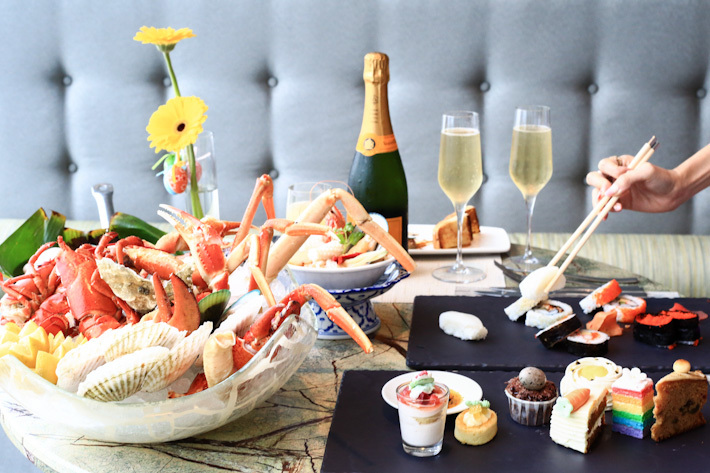 Think bubbly drinks and seafood spreads with crabs, half-shell scallops, freshly-shucked plump oysters; and so much more at two very prestigious restaurants in Singapore. If you haven’t got anything to look forward to in November, this shall be it. 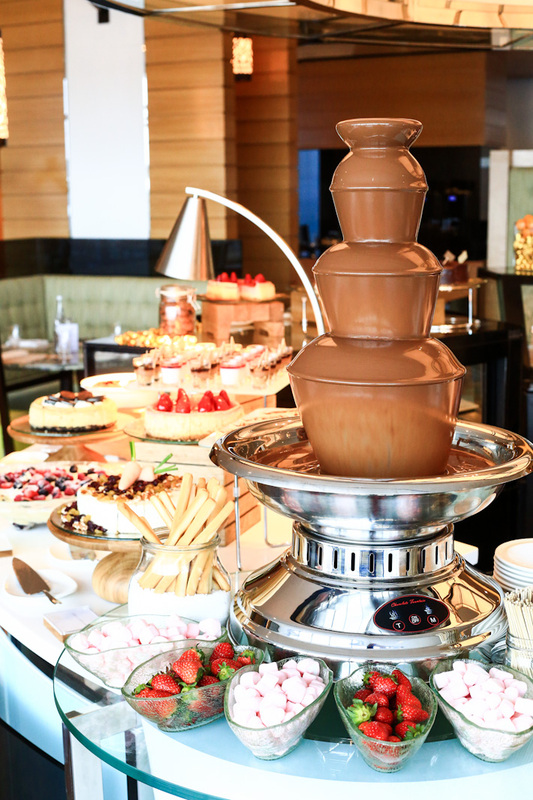 Sunday brunch just got kicked up a notch with Hilton Singapore’s newly revamped Champagne buffet brunch special. We are telling you that this is easily among the best champagne brunches in Singapore, for the spread features only the most premium of ingredients at reasonable prices. You bet we were awed by the array of fresh seafood, premium Australian meat cuts, gourmet European delicatessen and more. To say we were enticed by the sheer spread is an understatement. Very often, champagne brunches come with an exorbitant price tag, and for those who do not drink, paying the premium just does not make sense. And it does not happen here at Hilton Singapore. There is an option for those who prefer to indulge in only the food at S$88++/pax, and there are two options for those who want to luxuriate further with sparkling wine, red and white wines, and champagne. 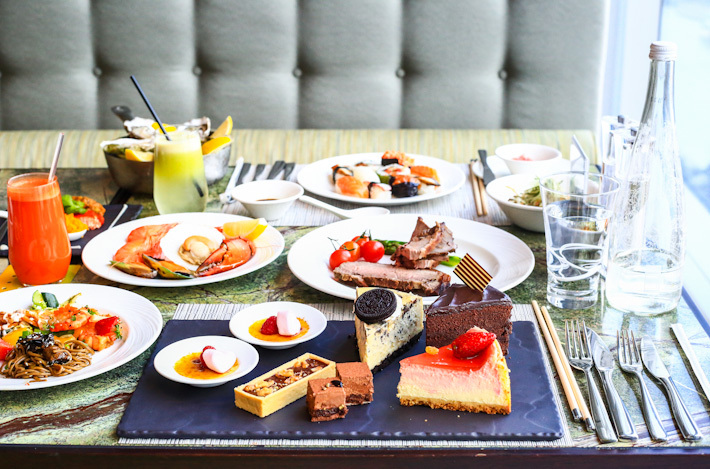 Readers of ladyironchef will be entitled to S$50 off Hilton Singapore’s Sunday brunch with a minimum of two paying adults. More details at the end of this post. 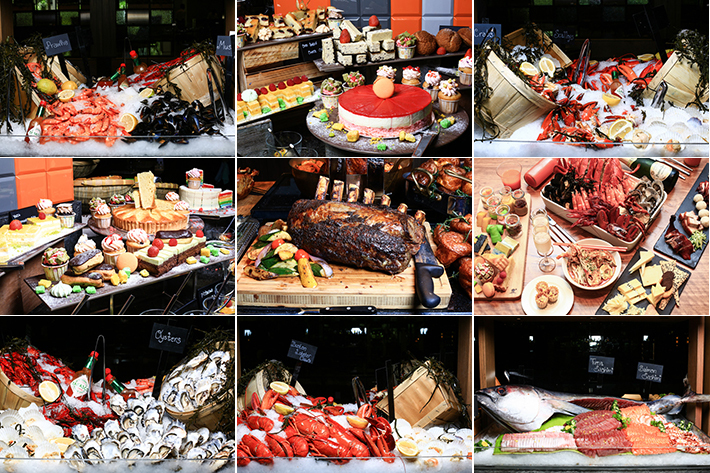 Meanwhile, here are the highlights of Hilton Singapore’s Sunday Champagne Brunch. Introducing the coolest Sunday champagne brunch in Singapore… The Brunch Beats (S$158++/pax) at Seasonal Tastes, The Westin Singapore. With Dutch DJ Lindo Martinez spinning cosmopolitan tunes and deep house grooves, indulge in an amazing spread with free flow of Veuve Clicquot champagne, wines, beers, and cocktails. Spend your Sundays in an unparalleled gourmet world – from daily bakes, to salad assortments, to the freshest catch from the ocean, to roasts and vegetables… we just wish we had the stomach to try everything. So, go with an empty stomach – and we mean it. Seasonal Tastes’ culinary and service team all work with a uniform passion – a passion to serve their best to you. The chef always listens to his guests, and is always improving on the spread to best pamper everyone’s palate. At S$42++ for lunch buffet, it is quite an unbeatable price. To add to that, the spread is extremely satisfying, and we could really eat to our hearts’ content without busting our budgets. Dinner buffet is priced at S$62++ – an amazing spread that is unrivalled and definitely among the most affordable hotel buffet dinners. You get to indulge in your array of seafood (seafood lovers have to go on Fridays because that is Seafood Night S$75++) and free-flow of roasts and sushi, while you unwind and enjoy your evening with the company of an unobstructed view of the Marina. And if you do not mind the splurge, how about treating yourself to The Brunch Beats at Seasonal Tastes? Easily one of the bests in town, and for one, if you have ever been to heaven, this is twice as nice. 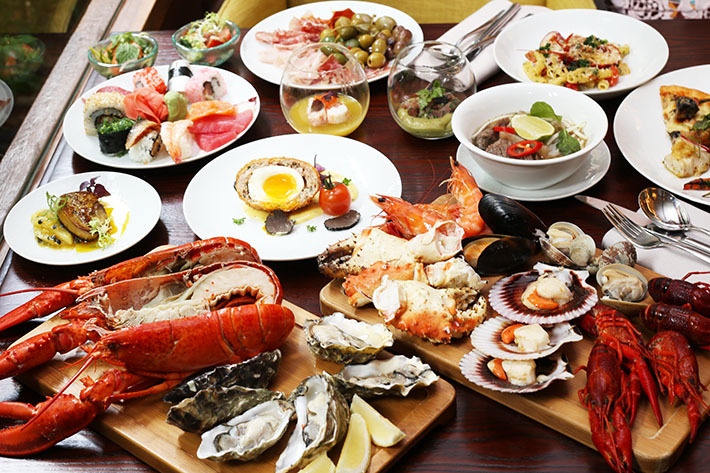 Here are 10 things we love about The Brunch Beats at Seasonal Tastes, The Westin Singapore. After taking a hiatus from Singapore’s hotel scene for a few years, The Westin has returned and this time round, sparkles amid the fanfare. Perched on a high ground and occupying levels 32 to 46 of Asia Square Tower Two at Marina View, The Westin Singapore is highly grand – literally. Besides the Westin Heavenly Bed, a stunning infinity pool, the Westin Workout fitness studio, and a luxe hotel decor, what we are really excited about is Seasonal Tastes – The Westin Singapore’s signature restaurant with interactive kitchens and featuring an impressive buffet line up that have already rocketed to our list of top favourites. 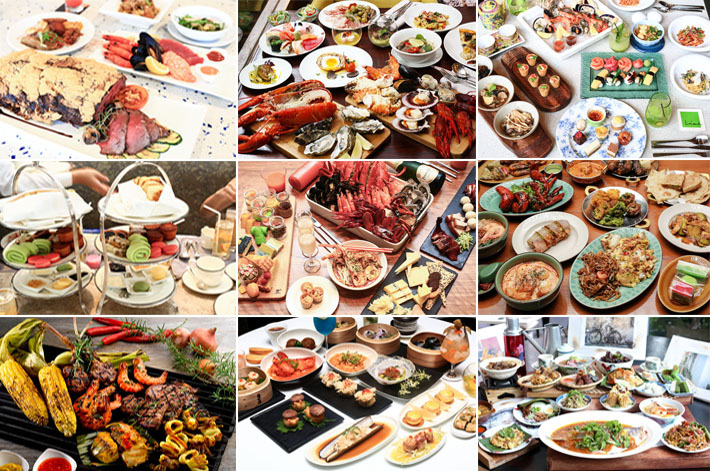 We love Seasonal Tastes’ buffet (S$45++/pax for buffet lunch, S$65++/pax for buffet dinner) for many reasons. Besides selling you the view of the Marina and how each and every chef is dedicated to whipping up their bests and delivering only the finest selections daily, we are truly excited to share about how this new addition is fast becoming a destination for the people of Singapore when they want to recharge their souls with good food. For one, it is a top quality five-star buffet sans the exorbitant price tag, and everything that we sampled was cooked to high standards. Being located on level 32 of The Westin Singapore, Seasonal Tastes boasts a splendidly unobstructed view of Marina Bay and the south coast of Singapore. And because the location is very convenient, executives in the vicinity can now claim this spot as your favourite hangout; count on Seasonal Tastes whenever you crave a timeout from work. And if you are planning a family gathering on the weekends, parking is easy and affordable (S$3/entry). Here are some of the highlights of Seasonal Tastes’ buffet.